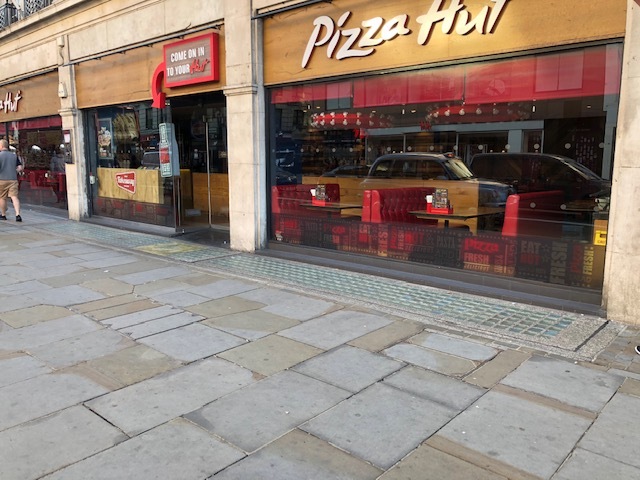 New Age Glass Ltd were the preferred contractor to replace the existing pavement lights at this Pizza Hut Restaurant on the strand in central London. 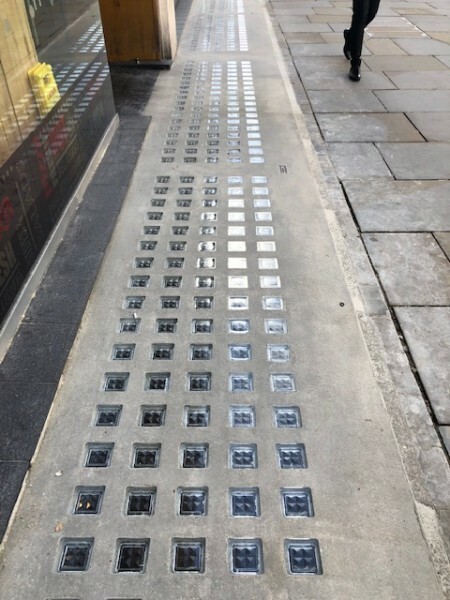 We installed crash decks supported with acro props to the underside of the existing pavement lights, this ensured that any debris and dust couldn't enter the basement below. 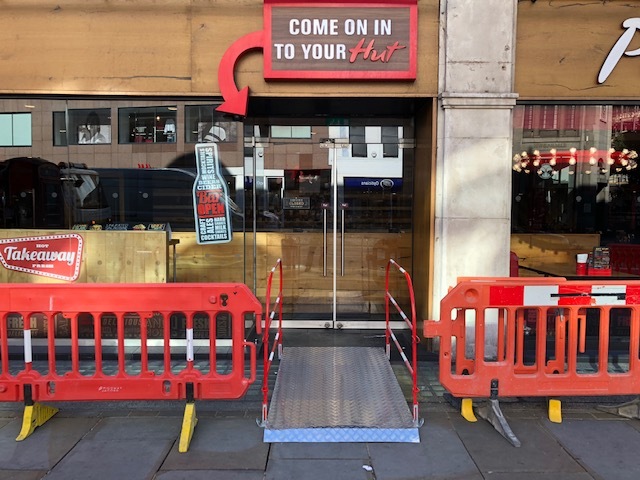 On the front elevation we protected the working area using chapter 8 utility barriers and provided a purpose made ramp to maintain access to the restaurant entrance. The facade was also protected using cordex sheeting. Using a heavy duty kango breaker we carefully removed the existing pavement lights and set aside to be collected by our waste carrier, the existing bearings were cut down to approximately 100mm in depth to allow for our new P150-100 construction. We then installed our specially designed timber shuttering system into the newly formed opening to support our new pavement light. 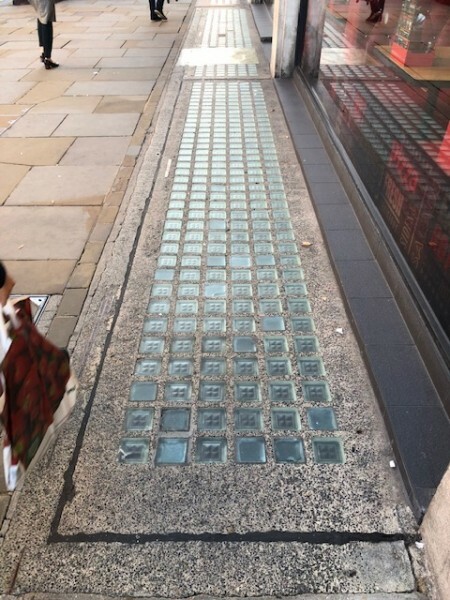 Using our specially designed formers and 100mm x 100mm x 28mm pressed and annealed glass lenses we set out the glazed area to suit to clear opening, once complete we adjusted the height of the new pavement light to the existing pavement levels, ensuring a fall away from the facade. 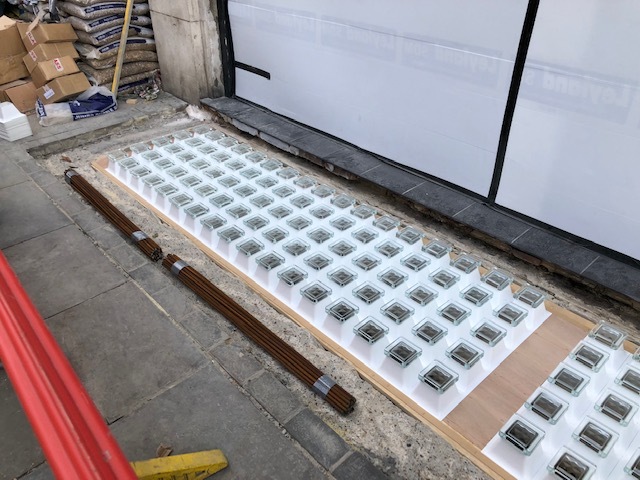 The concrete we use to fill the formwork is high strength grade C40, mixed on site and carefully placed into the formwork then vibrated to remove any air pockets and reinforced with high yield 12mm reinforcing bars laid into each rib in both directions. The concrete is hand finished by our experienced team leaving a nice smooth natural grey concrete finish. The perimeter joints around the new pavement lights were sealed using hot pour bitumen and covered with mortar protection. 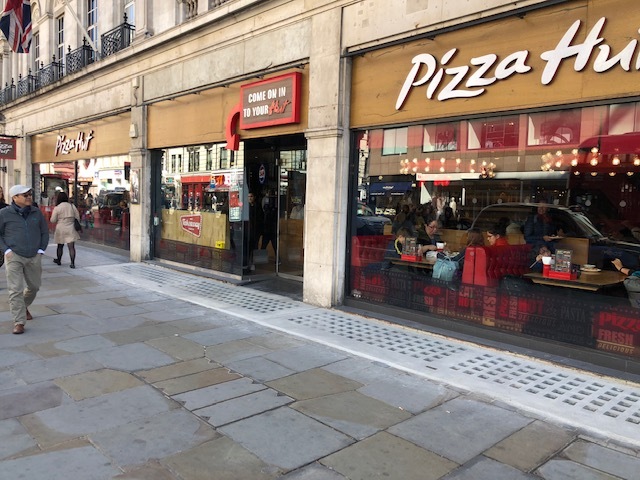 These works were carried out on time, on budget with no disruption to the restaurants trade. Please feel free to call our technical guys for more info on our products and services.